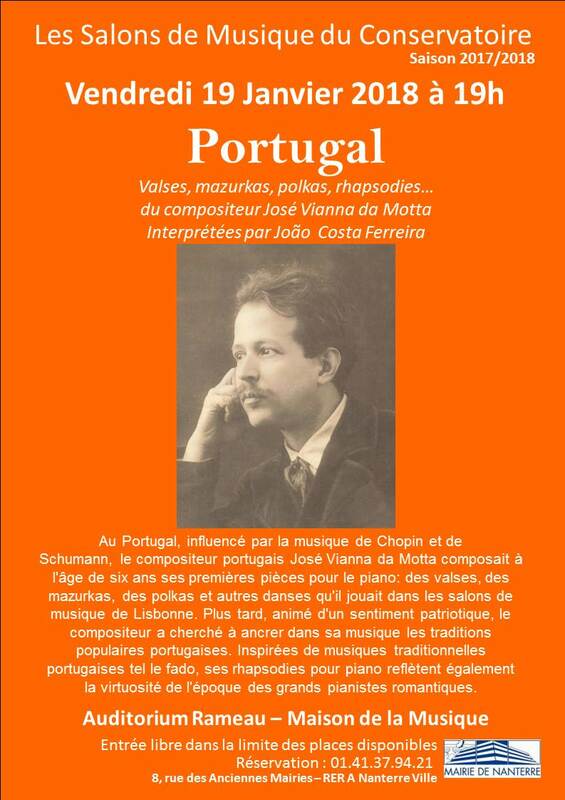 In Portugal, influenced by the music of Chopin and Schumann, the Portuguese composer José Vianna da Motta composed at the age of six his first pieces for piano: waltzes, mazurkas, polkas and other dances he played in Lisbon’s music halls. Later, led by a patriotic feeling, the composer started to integrate in his music the Portuguese popular traditions. Inspired by traditional Portuguese music (like fado), his piano rhapsodies also reflect the virtuosity of the time of the great romantic pianists.